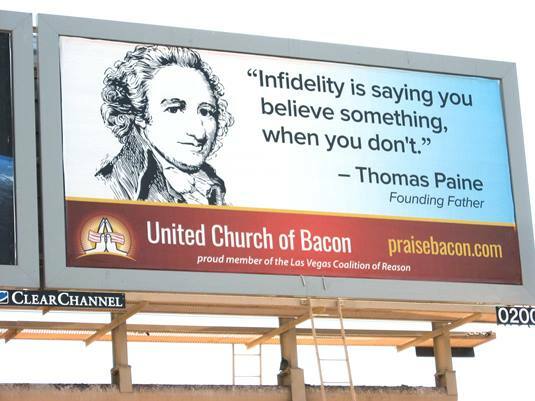 The United Church of Bacon continues to put up billboards. Here’s a quote from Thomas Paine, one of the Founding Fathers of the United States. He was an activist and fought for a revolution. We just want to end discrimination against atheists. That sounds like a much more reasonable task.